Erika Augustine, an associate professor of neurology, has been jointly appointed as the Robert J. Joynt Professor in Neurology. Augustine retains her joint appointments as an associate professor of pediatrics and as an associate professor in the Center for Health and Technology. 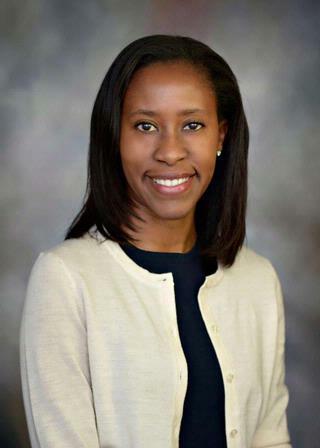 After undergraduate studies at Harvard College, Augustine received her medical degree from Rochester’s School of Medicine and Dentistry and completed pediatrics and child neurology residency training at Children’s Hospital Boston in 2008, followed by fellowship training in pediatric movement disorders and experimental therapeutics in 2010 at Rochester’s School of Medicine and Dentistry. As a neurologist with qualification in child neurology, she specializes in the care of children with movement disorders and rare diseases. Augustine’s research focuses on clinical phenotyping and advancing therapeutic development for rare pediatric neurological disorders. She has published in the Journal of the American Medical Association, Neurology, and Pediatrics, among other publications. At the University’s Batten Center of Excellence, Augustine leads programs developing novel therapeutics for the neuronal ceroid lipofuscinoses, a group of childhood neurodegenerative disorders.